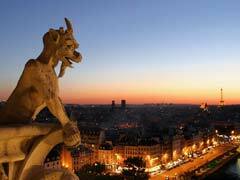 Western Europe with its history that goes back thousands of years ago and culture enough to make a PhD historian out of any traveler has always captivated visitors from North America. Given the fact that most Americans and Canadians owe their ancestral heritage to Western European roots, taking a Europe vacation is like going back to your roots and re-discovering where it all began. Western Europe is nested on the smallest land based continent; however, the cultural, geographical and climatic diversity that it offers among its separate nations is astounding. This is what makes it so much fun to plan your next Europe vacation. Europe is also one of the oldest continents, which means that some of the most ancient archaeological relics were found on its territory along with unbelievable cultural heritage of people who occupied its territory many centuries ago. Western Europe will delight you with its architectural grandeur, astonish you with its museums and art galleries, tease you with its sensual food offerings and flavors, and become deeply wedged in your soul captivating you to return to its cradle again and again. Europe is not only about its past, it’s a thriving and booming pot of cultures, businesses, politics, fashions and gastronomies setting major trends in the modern world. If your head is spinning from mind boggling decisions of where to go on your next Europe vacation, we can help by introducing major points of interest in some of its magnificent countries in our Western European travel guide. If you like it cold, Scandinavian countries are for you. Not only temperatures here are lower than in any other part of Western Europe, the active volcanic activity throughout its history helped form incredibly beautiful and desolate landscapes that easily stun any visitor coming to Scandinavia. In Iceland you can marvel at breathtaking views of the Gullfoss Waterfall and world famous Blue Lagoon geothermal spa that is believed to possess skin healing properties. From Iceland’s glaciers to Norway’s majestic fjords, prepare to be amazed practically around every corner. 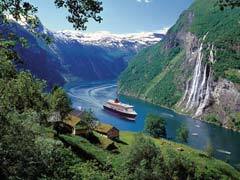 Norway is perhaps one of the most stunning countries in Europe that boasts majestic glacier shaped fjords that guide you through majestic openings in glaciers, especially when viewed from a cruise ship. From Northern lights in Tromso to visiting Bergen’s cultural district or going hiking in the mountains, Norway is one of the best places to travel to. 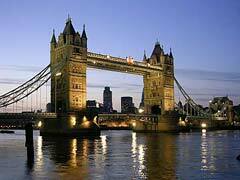 If you like it the proper way, the United Kingdom is the place to visit at least once in a lifetime recommended by practically any travel guide. Having united 4 separate nations, the British Empire is one of the most acclaimed destinations in just about any aspect, whether it is its cultural bounties, historical heritage and almost fanatical reverence to the Royal family. Wave to the Queen at the Buckingham Palace, check your watch to the Big Ben at the Westminster Abbey and then hop aboard a red double-decker as the best way of exploring London. 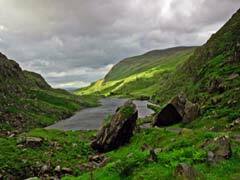 Ireland is a must to visit simply to learn that the country offers so much more beyond our regular St. Patrick’s Day inspired cliché associations of green shamrock and leprechauns. From gorgeous Irish Castles to Dublin’s and Belfast’s curious museums and galleries, Ireland is brimming with real world treasure that must be experienced. Don’t forget to pay a visit to picturesque County Kerry, amazing Cliffs of Moher in County Clare and the Giant’s Causeway in Northern Ireland. Just a short flight from Dublin, you will find yourself submerged in a fairy tale like beauty of Brussels. Belgium does not cease to amaze its visitors by an assortment of duality that is bordering between French and Flemish, traditional and off the beaten path and, finally, totally unexpected. 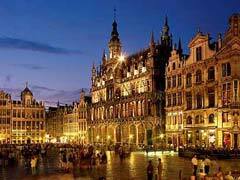 For those who have a day or two to spare in the Belgium’s capital, do not miss the Grand Palace full of baroque style treasures followed by a leisurely stroll down Rue de Bouchers which is a perfect people watching place. For those Netherlands visitors who think Amsterdam is nothing but a large Red Lights District will be much disappointed or pleased to learn that Netherland’s capital has plenty of cultural, historical and agricultural offerings for just about any taste. From the Heineken experience to visiting the famous Aalsmeer flower auction to marveling at odd Van Gogh’s museum displays, the city has it all. 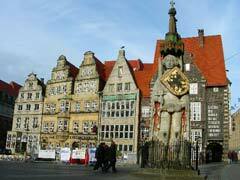 Just over the border, Germany is brimming with the cultural diversity of its 16 different states. From countryside Bavaria made famous by its annual Oktoberfest to country’s capital city Berlin studded with the finest museums and galleries to hip Hamburg boasting with nightlife and high end restaurants, you will have trouble deciding where to go. Deep in the central part of Europe lies jewel box perfect Austria, the place where visitors are not only astounded by its incredible past but even more so of its bustling modern art and nightlife scenes. 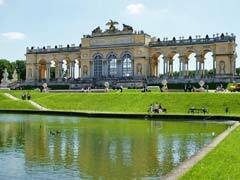 Vienna is one of the most beloved travel destinations to see famous Museumsquartier studded with spectacular museums, palaces and galleries, and astonishingly beautiful Schloss Schoenbrunn gardens. On the opposite side of the Austrian capital lies a distinctly different MUMOK (Modern Arts Museum) providing its visitors with an insight of country’s best realism arts. 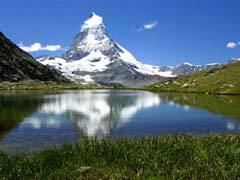 Switzerland is Austrian next door neighbor and an all encompassing destination for summer and winter visitors. While in the winter there’s nothing better than skiing in pristine Alp ski resorts, in the summer there’s no better place in Europe to see its perfect outdoor vistas of Swiss Alps immaculately maintained with manicurists’ precision. From obscenely expensive Geneva to breathtaking sights of the Lake in Lucerne to banking center of Europe, Zurich, the country is a gem of European tourism. Immediately to the south, visitors will find France, another romance destination on the European travel guide map. From the country’s iconic Eiffel Tower in Paris to the grandeur and beauty of many Chateaux in the country especially framing famous Loire Valley, to the spectacular French Riviera resorts, the list of attractions does not stop. This life and food loving European country is on everyone’s mind. If you like it hot, it does not get any hotter than heading to one of the most popular European destination Spain with its spectacular beach scene, cultural offerings and world’s tastiest cuisine that must be savored while watching the seductive flamenco dancing. 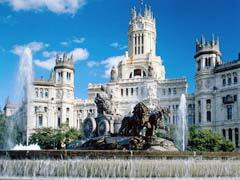 Its capital Madrid is full of cultural and architectural gems. Spain’s most vibrant city Barcelona is a perfect place to sample country’s extensive tapas menu as well as see some of the most significant architecture in Europe like La Sagrada Familia Cathedral and landscape wonders at Park Guell. Portugal, its next door neighbor, is ideal for escaping busy crowds of Spanish capital with its medieval charm of castles and picture perfect villages along with sun drenched beaches along its coast. 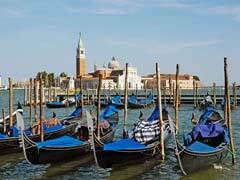 In bella Italy visitors indulge all of the 5 senses with gorgeous cultural sights of Rome, canals in Venice and remarkable Renaissance Cradle of Art, Florence. 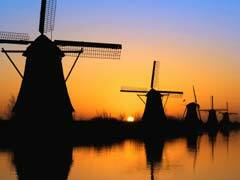 The country has more Heritage sites on its territory than any other part of the world. 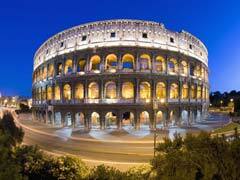 With world famous cuisine, best couture fashion and boisterous Italian spirit, it a pleasure whether you are there to see the Roman ruins in Pompeii, Pisa Leaning Tower, Pope in the Vatican City, Michelangelo’s David in Florence or simply soak up the Mediterranean sun. 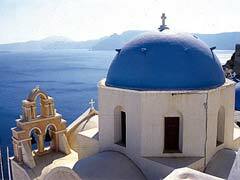 Greece – need we say more? The cradle of ancient world civilization has influenced just about any modern field of art, science, sports, politics and life in general and has plenty of World Heritage Sites to show for it. Despite its recent economic downfall and skyrocketing prices, the country is enjoying loads of tourists flocking to its Greek Islands located at the basins of Ionian, Mediterranean and Aegean Seas to bask in the sun and bathe in the warm sea waters. Among its crazy popular cultural attractions one will find its quintessential Parthenon in Acropolis located in Greek capital Athens, the ancient and most well known in the world temple. Do not miss the historical site in Olympia to witness the birth of modern Olympic Games and try trekking to the top of Olympus Mountain. How about paying a visit to archaeological remains in the ancient town of Delphi that was once considered the center of the Universe? Beyond historical and cultural attractions, Greek cuisine is one of highly acclaimed gastronomies in the world, so do not miss trying out a variety of dishes that are traditionally washed down by light Greek wines. We hope our Western Europe travel guide has inspired you to see more information on this topic by reading other articles presented on the website.